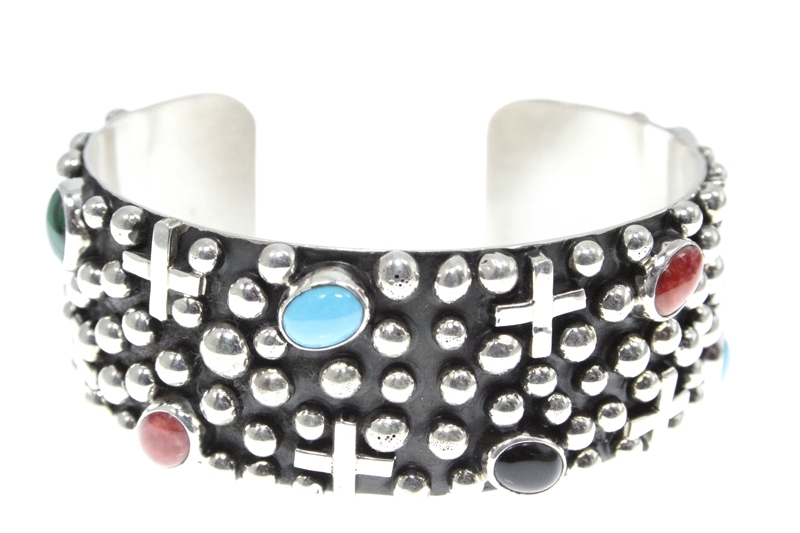 Oxidised base (silver is darkened), appliqued silver drops & crosses. Cabochons – turquoise, red coral, lapis, onyx, sugilite & malachite individually housed in a smooth bezel. The inside measurement is 7 1/4″ (including gap 1″) Cuff can be adjusted slightly and gently.